These itineraries can be adjusted to suit individual requirements. They are simply examples of what is feasible within different timeframes. They are aimed at individual travellers (based on 2 sharing). For group escorted tours or single supplements please contact us. Excursions include an English speaking guide. Prices are a guideline only please contact us for an exact quote. International economy flight from UK to Santiago. On arrival st Santiago Airport you will be transferred to Casa Higueras, Valparaiso (approx 1 hour). Time to explore in Valparaiso. Overnight at the Awais Hotel. Choose your own excursions with driver/ guide. Visit local villages or the Atacama salt flats; altiplanic lagoons, geysers, or even climb a volcano! Overnight at the Casa Bueras Boutique Hotel. Fly to Punta Arenas in Patagonia. Transfer by road (approx. 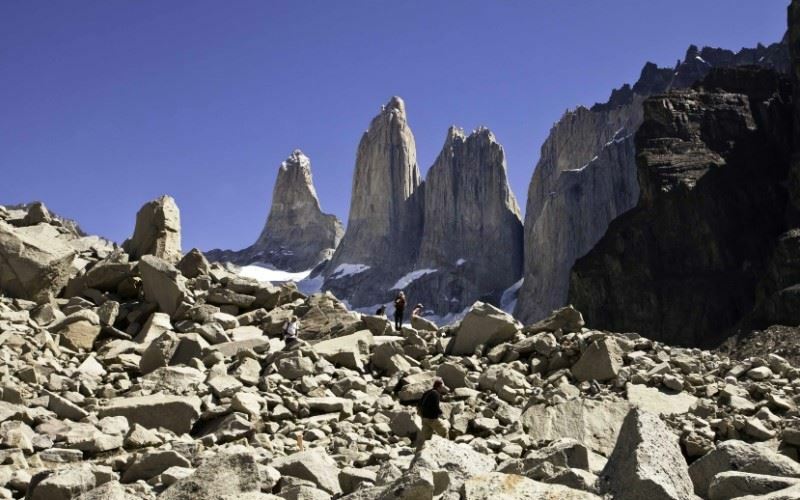 5 to 6 hours) to the Torres del Paine Region. Overnight at the Tierra Patagonia Hotel & Spa. Three days of fully guided excursions; choose from scenic tours; horseback rides or half-day or full day hikes, ranging from easy to difficult ! Transfer to Punta Arenas airport. Fly to Santiago and transfer to the Casablanca Valley. Transfer to Santiago Airport for your return flight to the UK. Overlooking the Bay of Valparaiso, Casa Higueras is a boutique hotel which was originally constructed in the 1920’s as a mansion. Overlooking the Bay of Valparaiso, Casa Higueras is a boutique hotel which was originally constructed in the 1920’s as a mansion. The hotel combines reminders of the past with modern facilities. It has 20 guest rooms, many with individual terraces. The restaurant serves particularly good seafood. Leisure facilities include a swimming pool, sauna, outdoor Jacuzzi and spa. The panoramic terrace is the ideal pre-dinner place to watch sunset over Valparaiso, and enjoy the lights glowing across its hills. This is an intimate boutique hotel providing the utmost in relaxation, luxury and simplicity combined with adventure, authenticity and sophistication. This recently opened property is a former residence built in 1927. This recently opened property is a former residence built in 1927. As a hotel – or more appropriately, an elegant home from home - it has 14 spacious bedrooms furnished with the latest technology including wi-fi and LCD tv’s. Leisure facilities include a gym and an outdoor pool. Breakfast is served at the hotel as well as light snacks and afternoon tea. A restaurant is in the pipeline. Lastarria offers excellent and personal service to make you feel at home. Tierra Patagonia opened to great acclaim at the end of 2011, building on the success of its sister property in the Atacama. Tierra Patagonia opened to great acclaim at the end of 2011, building on the success of its sister property in the Atacama. This stylishly designed property has 37 rooms and 3 suites, all with beautiful views of Lake Sarmiento and snow- capped mountain peaks. The public areas including the restaurant also take advantage of the external panorama. The hotels’ Uma Spa has an indoor swimming pool, sauna and outdoor Jacuzzi. And after a strenuous day’s trekking, you can return to the hotel for a massage to soothe aching limbs! Matetic is a small but expanding vineyard with a growing reputation for its organic wines. Matetic is a small but expanding vineyard with a growing reputation for its organic wines. Located in its 11,000 hectare valley between Santiago and Valparaiso, La Casona is a beautiful colonial house that has opened 7 rooms for guests. A tour of the state of the art winery is included as well as dinner in the Equilibrio Restaurant. You can relax by the outdoor pool, or take horseback rides, mountain biking or hikes, or visit the family cheese -producing business.